Property sign with a sense of humor (or maybe not); rural Minnesota. 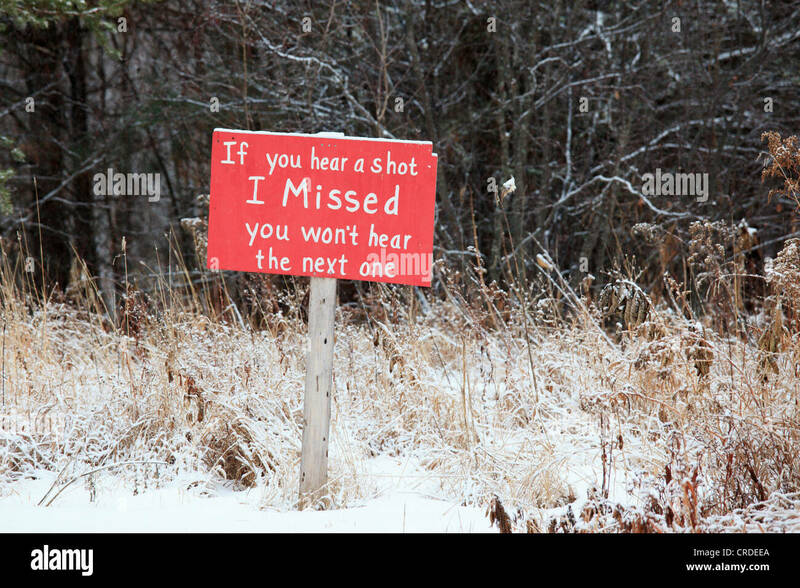 "If you hear a shot I Missed you won't hear the next one"
Property sign with a sense of humor (or maybe not); winter, rural Northern Minnesota. "If you hear a shot I Missed you won't hear the next one"